Explores the basic plot, theme and structure used as a framework for the narrative of a fairy tale which enables an old story to be told anew. By using references to the narratives found in Perrault’s tale of Puss in Boots and Angela Carter’s similarly titled piece from The Bloody Chamber: an interesting transformation of theme is discovered. Metamorphoses as a theme will be seen to illustrate change as shown in the narratives of fairy tales, which incorporate some Greek-Roman myth and legend. Traditional fairy tales such as Cinderella which has survived hundreds of years across all parts of the world, Japan, Russia, Africa and America, involves the embodiment of beliefs held by society. Fairy tales belong to an oral tradition which has been handed down from generation to generation: an assortment of Myths, Legends and Folk Tales has been adapted into many stories, nursery rhymes, even grand opera and ballet. Examples of how greater freedom now exists for us to interpret and understand the classical fairy tale which is widely used in various forms of modern media. A number of well-known tales combine a familiar format: a singled-out young person, sometimes homeless or reliant on others for shelter who is helped by someone surrounded by magic and intrigue. The longevity and translations of these stories knows no bounds, the use of these stories in teaching and the passing on of knowledge, coupled with the magic of metaphor, is eternal. A look at some of the structure and devices used in these parables will demonstrate the simplicity in which human strengths and frailties can be framed. 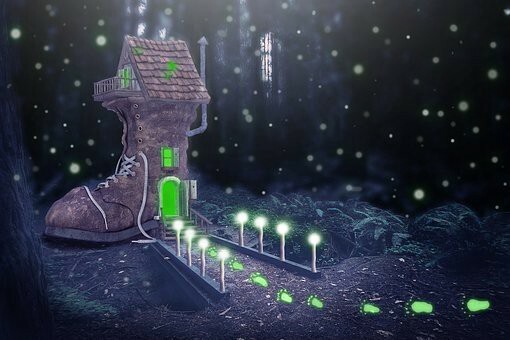 With the aid of modern technology, we could even have a chance to try on the magic slipper, just to see if it might fit. 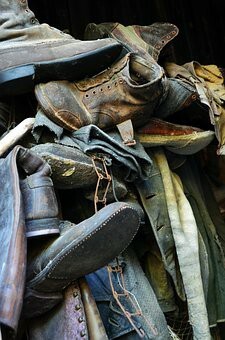 Old Shoes are Easiest is a proverb with convoluted origins, for the purposes of this essay the literal meaning; sometimes familiar tried and tested can sometimes be easier, will be adopted. Using this as our starting point we will take a brief look into the idea that perhaps the essence of a story far outlives the shiny buckles and silky bows of its narrative. Of course, narrative is not just added colour and movement; it is a framed pattern of the social understanding, cultural ideas and behaviour of its time. A story is written with the knowledge and belief base of the time: observably knowledge bases change with time… in turn the perceptions created by the narrative alter accordingly. Storytelling evolved as a natural way to teach and learn effectively, this communication needs to be conveyed internally and externally with a most understandable, convincing and attention-grabbing technique. Through these framings personal histories, identities, culture, ethnicity, faith and gender will have a significant impact on what is perceived and remembered. These are the highlights or indeed the buckles and bows that a narrative adds to an already existing plot. It is suggested in Basic Patterns of Plot that there are only three plotlines in existence; happy ending, unhappy ending and the literary plot. Foster-Harris sees the literary plot as a hinged ending dependent on fate rather than decision. At each stage of re-telling, the narrative can become a little less of its original form, the story pretty much remains intact, despite the consequences of its journeying through modernity. The basic structure and plot of a story is used as a framework and starting point, then appropriate emphasis together with the most compelling parts of the plot need to be built into the context of the work. This is the ideal make-up for the narrative of many tales and creates a fantastic approach to telling an old story in a new way, fairy tales in particular. An excellent model, to the idea of an old story being told anew, is found in the narratives which are based on the story of Charles Perrault’s tale, Puss in Boots and Angela Carter’s similarly titled piece from The Bloody Chamber: The examples show a massive shift in the narrative which generates an interesting makeover, yet the original story stays very much intact. An element of Greek-Roman myth and legend, Metamorphoses, as a theme is used to illustrate change, new beginnings and transformations and can be found in a great number of stories. Clark Kent transforms into a super-hero or indeed, with the helping hand of the Fairy Godmother, Cinderella becomes a beautiful princess. The traditional fairy tale which has survived hundreds of years across all parts of the world, Japan, Russia, Africa and America, involves the embodiment of the beliefs of many forefathers. Fairy tales belong to an oral tradition which has been handed down from generation to generation: words of wisdom that mirrored the practicalities of life. An assortment of Myths, Legends and Folk Tales that have been adapted into many stories, nursery rhymes, even grand opera and ballet. The written versions are a reminder, perhaps, of a more innocent age. The 21st Century has brought a greater freedom which exists for us to interpret and understand the classical fairy tale, which is now widely used in various forms of modern media. A number of well-known tales combine a familiar format: a singled-out young person, sometimes homeless or reliant on others for shelter who is helped by someone surrounded by magic and intrigue. The longevity and translations of these stories knows no bounds, the use of these stories in teaching and the passing on of knowledge, coupled with the magic of metaphor, is eternal. Christopher Booker in his, The Seven Basic Plots discovers very early at the start of his research that, “…a well-known nineteenth century novel is constructed in almost exactly the same way as a Middle Eastern folk tale dating from 1200 years before…” Likewise familiar plot lines can be found in many 21st Century movies and video games. Again, a running theme seems to frame what we experience and what we know, which is coupled with what we remember and anticipate. Characters do not need to be self-images they are the perception and interpretation of what we either would like to be or the exact opposite. This is a very simplistic response to a very intriguing topic, although it appears to be a tried and tested formula. Cinderella and Puss in Boots represent two stories which are similar, not only in their references to footwear, but by the showing of an undesirable mode and an ultimate ‘happy-ending’ mode to life. Adaptations to the format of each narrative can be so simple in structure or indeed so outlandish, (Fanciful) yet the substance and didactic foundation of the story remains the same. Perrault’s Puss in Boots is a pleasant tale of a young, orphaned boy who enjoys good luck through the wisdom and cunning of his cat, the story has a basic plot, structure and theme which is commonly found in this genre of work. One feature of fairy tales appears to be the absence of any detailed descriptions regarding the settings and the characters of the story. The characters are by and large portrayed as one dimensional, often showing only one human characteristic such as goodness, badness, or sadness. By presenting characters in this simplistic manner, it is easier for the reader or listener to recognise their own traits. A decision to reject or run-with the characters is based on their anticipations of the story. It is fair to suggest that over the many years the nature of fairy tales have changed quite dramatically. This is yet further evidence as to the narrative buckles and bows which are adapted to suit the fashionable trends. With the 21st Century comes the probability that it would be appropriate for Cinderella to be asking for a prenuptial agreement and for the Marquis of Carabas to be insisting on some sort of ‘Insurance of Indemnity’. This of course would be after a full ‘risk assessment’ and a full ‘scheme of works’ appraisal. Between the two stories, the themes of romanticism and social ladder climbing seem to be quite acceptable today as they were in the earlier versions. The idea of male or female suppression seems to be lost in the anticipated good fortunes that are promised at the stories out-set. The first Cinderella story has been dated back to as early as the 9th Century A.D. so it is remarkable that 1200 years on the old story is still being told. Consistency of plot appears to be a successful key feature of fairy tales, almost all action within the story is in some way connected to the story’s initial conflict. This idea is echoed by H. Porter Abbot in his Cambridge introduction; ‘The rhetoric of narrative is its power… all those elements of the text…combinations of feeling and thought we experience as we read.’ This feature allows a story to appear more plausible within its own setting and it permits the story to be brought into an acceptable context. This feature is very much present in the story of Puss in Boots, as each action of the tale is plainly and every time aimed at finding a resolution to the original dilemma of the young man. ‘Yet obviously these dazzling young heroes and heroines are not exactly the same people that we saw…’ Christopher Booker follows this statement through by encouraging the thought that the qualities that transpire and the will power shown were already present within the characters spirit. Ultimately these consistent themes mirror the idea of overpowering adversity in one’s own life. As a metaphoric emblem that most things can be worked through, even if it does take the help of a rather cunning cat or indeed the wand waving of a Fairy Godmother, there will be a form of happiness for all.